Shanghai Disneyland is unlike any other Disney resort in the world, and we can say this now having been to been to all of them. It’s made up of the theme park, two hotels, and a Disneytown entertainment area. 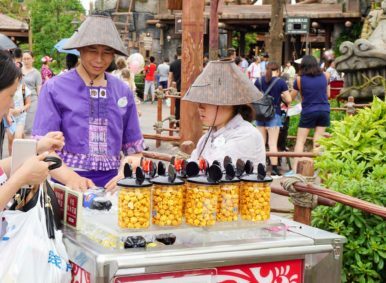 This Disney park in China is now a year old. While crowds are probably an issue, we didn’t experience some of the growing pains I’d heard about. We also managed to have a fantastic time despite the summer heat. 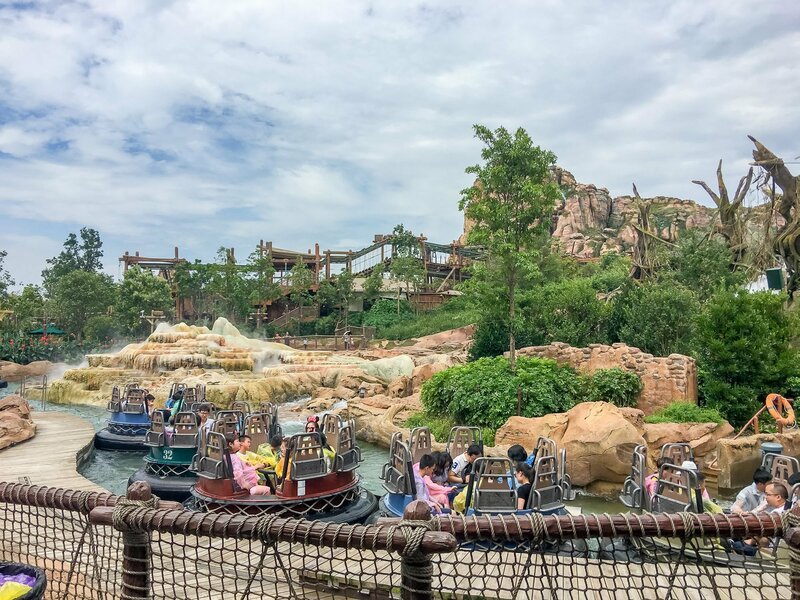 There is a lot I wish I would have known about visiting Shanghai Disneyland hence the entire reason for this post. I’ll tell you how to avoid ticketing issues, lines and endless headaches someone who doesn’t speak Mandarin might face. 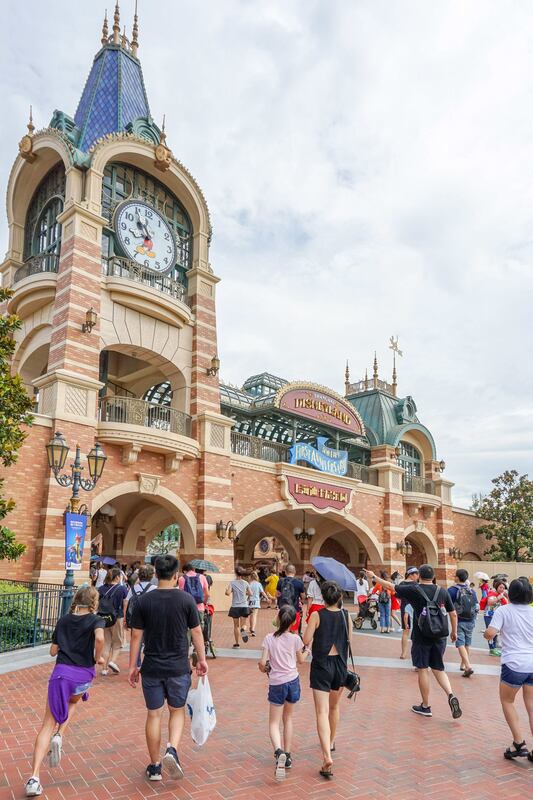 Should You Buy Shanghai Disneyland Tickets Online? For those of you wondering where is Shanghai Disneyland, here’s the answer. It’s in Pudong but about a 45-minute drive inland from the famous Pudong skyline featuring the Oriental Pearl Tower, Jin Mao Tower and more. (Pudong translates to East Bank of the Huangpu River, in case you were wondering.) 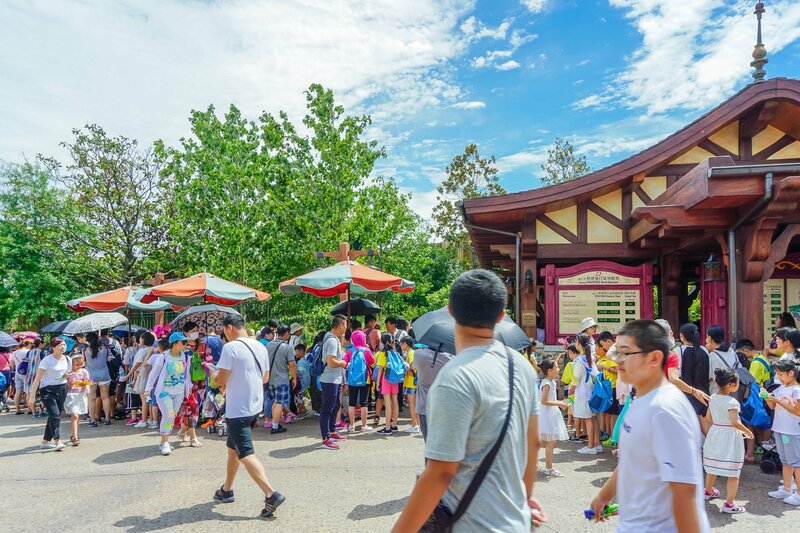 This Disney park is close to Pudong Airport (PVG) which borders the East China Sea. In fact, there is a shuttle direct to the park from PVG airport. We hired Blacklane (a car service I used worldwide) to take us there from Mandarin Oriental Pudong, Shanghai. The answer is yes, but it’s not as easy to buy Shanghai Disneyland tickets online as it sounds. The main reason to purchase tickets in advance is that the park often sells out ahead of time. A hotel concierge desk can’t issue you physical tickets in advance, unlike hotels near Hong Kong Disneyland or even our experience at Four Seasons Resort Orlando at Walt Disney World Resort. There are a few ways to buy Shanghai Disneyland tickets online. You can log into your MyDisney account on the Shanghai Disneyland website. You’ll enter passport details at the time of purchase and will need to bring your passport to the park in addition to the confirmation number in order to pick up the actual paper tickets. Our printed ticket purchase confirmation said to proceed (with the confirmation number and passport) directly to the turnstile for park entry. This did not work for us. We were redirected multiple times to the main ticket queue to pick up our paper tickets. As you can see, it is not easy to navigate the crowds. 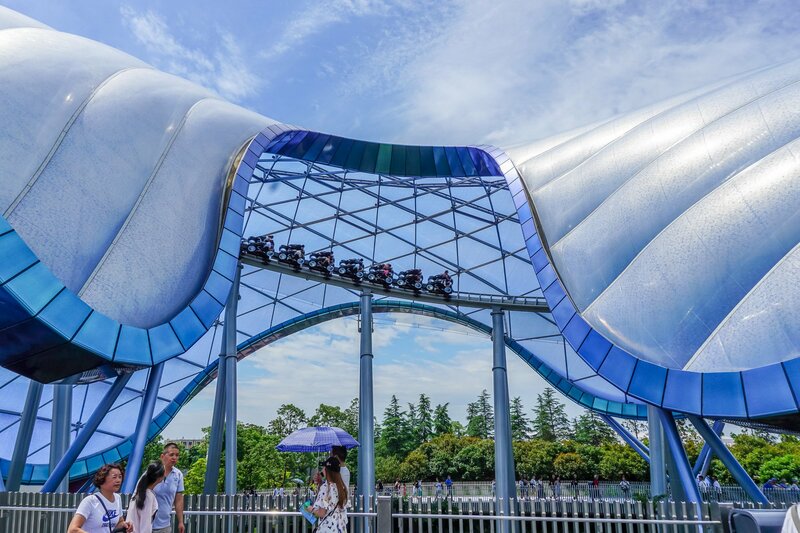 Alternatively, you can buy Shanghai Disneyland tickets through Ctrip, which is probably the most reputable provider of travel services in China. They’ve been in business since 1999, and I’ve used them for various arrangements throughout the years. 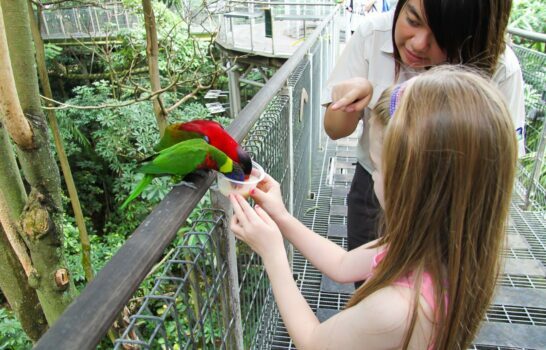 You can also buy discounted tickets through Klook, which is becoming a very popular way to enjoy attractions in Asia. Your paper ticket is essential because of counterfeiting issues. A photograph of you will be tied to it. This way, at any time, staff in the park can confirm it’s yours. I did not see any way for them to take these photos at the turnstiles but wondered why so many people skipped the ticket queue and headed straight here (any insight here is appreciated, please leave your experience in the comments). This chaotic entry process is where we discovered the below. The fact that cast members spoke so little English surprised me a little because it’s a Disney park. This made everything from ordering food to sorting out our tickets much more difficult than it needed to be. I had help from my daughter who studies Mandarin (though is far from fluent) and it was still tricky. The rides sing and speak in Mandarin. In my opinion, this isn’t an issue, but some people find it a drawback. 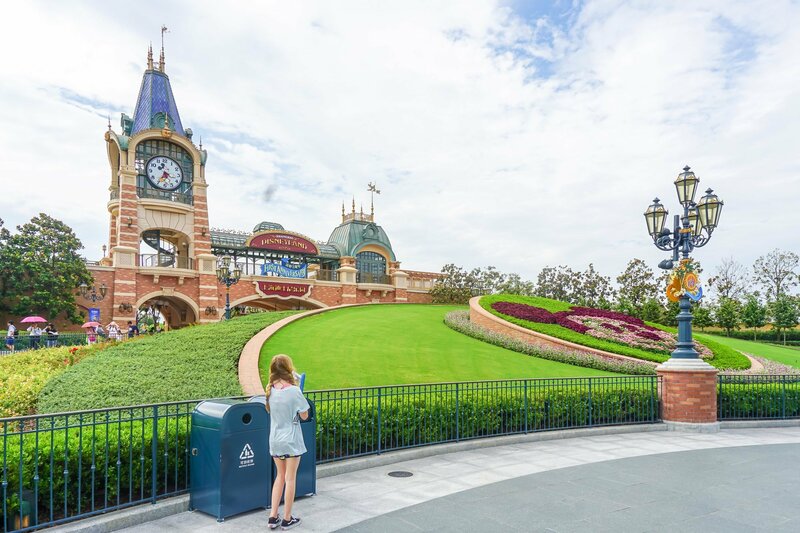 There are three ways to “skip” the lines at Shanghai Disneyland. 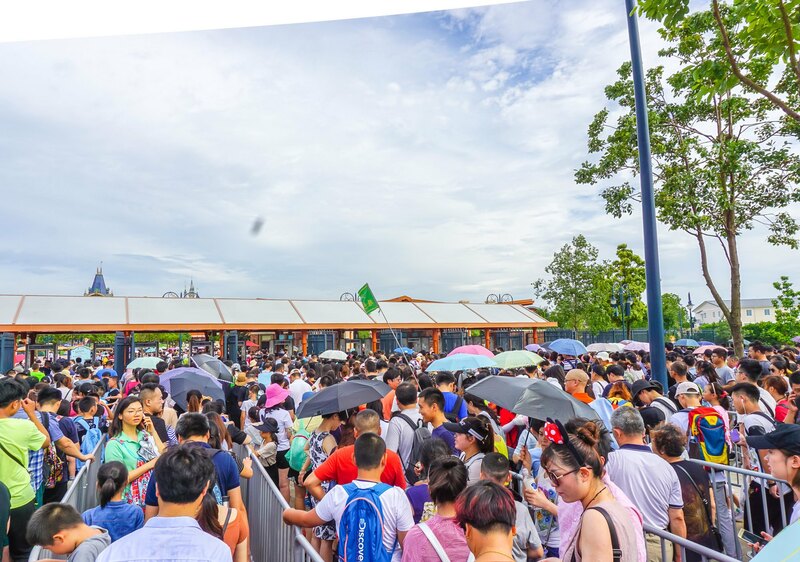 At the time of this writing the cost for up to 6 people for a Shanghai Disneyland Premier Tour is 18,000 RMB for six hours (16,000 RMB during off-peak times). I suggest booking these tours as far in advance as possible because, by the time I looked into it, they were sold out our dates. 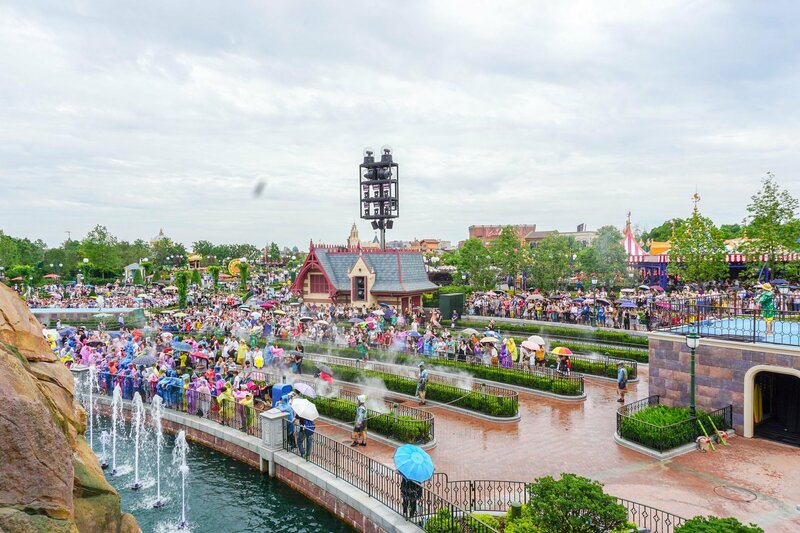 The Shanghai Disneyland Premier Tour grants guests expedited access to rides and shows, VIP parking, a VIP entrance to the park (skipping the hassles I described above), a merchandise discount and more. 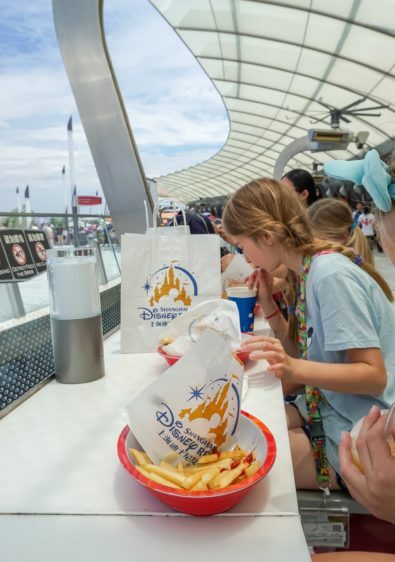 If not opting for a Premier Tour, get to the park early enough to secure a Disney Premier Access pass which grants FastPass access to seven rides. We would have been miserable without it. Disney Premier Access passes are sold on a limited basis. At the time of our visit, it was a cash-only transaction despite major credit cards an option throughout the rest of Shanghai Disneyland. The Disney Premier Access pass is a pack of seven individual FastPasses for the rides listed above. After entering the park, you’ll see a walkway next to the Avenue M store. Go directly there to buy the Disney Premier Access pass. You can buy for all seven available rides or just the ones you’d like to ride. What happens after purchasing the pass is unusual. A cast member ushered us into a corner of the gift shop and asked for my cell phone. She took a photo of our group and in the photo is another cast member holding up a sign with the date on it. This photo served as proof that we were legit Disney Premier Access pass holders. I had to show this photo before each FastPass ride, sometimes twice. If you’re the type that takes a ton of photos with your cell phone, this can grow annoying as you continuously scroll through your camera roll to find this ridiculous photo. The other way to pull a Shanghai Disneyland FastPass is similar to the way FastPasses work in other Disney parks. You will need to find a Guest Services booth in the land of the participating attraction. Scan your ticket and a FastPass for the ride selected will be distributed. These lines are enormous. FastPasses run out quickly all over the park. To give you an idea, by 8:30 a.m. the only FastPasses available for Seven Dwarfs Mine Train was for entry between 3:30—4:30 p.m. This is because so many people had pulled them already. We walked by a Guest Services building around noon, and most FastPasses were sold out for the day. 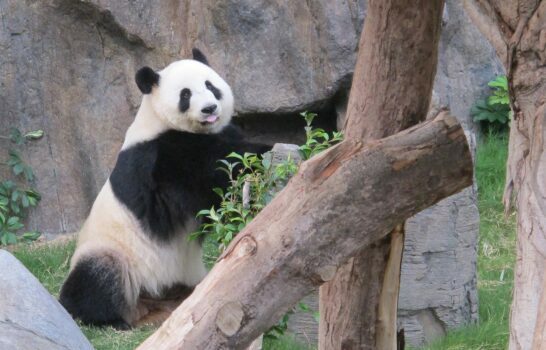 I suggest scrolling through the list of Shanghai Disneyland attractions in advance of your visit. Some of the greats are missing. If you’re looking for Shanghai Disneyland Haunted Mansion, Space Mountain, Matterhorn or Haunted House, you’re out of luck. However, there is TRON, and it’s fantastic. 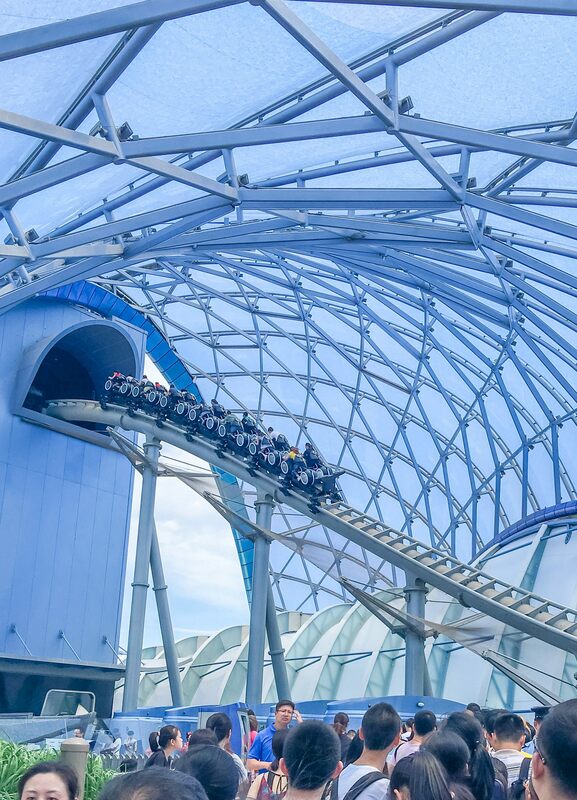 TRON Lightcycle Power Run is by far the best ride at any Disney park worldwide, in our opinion. 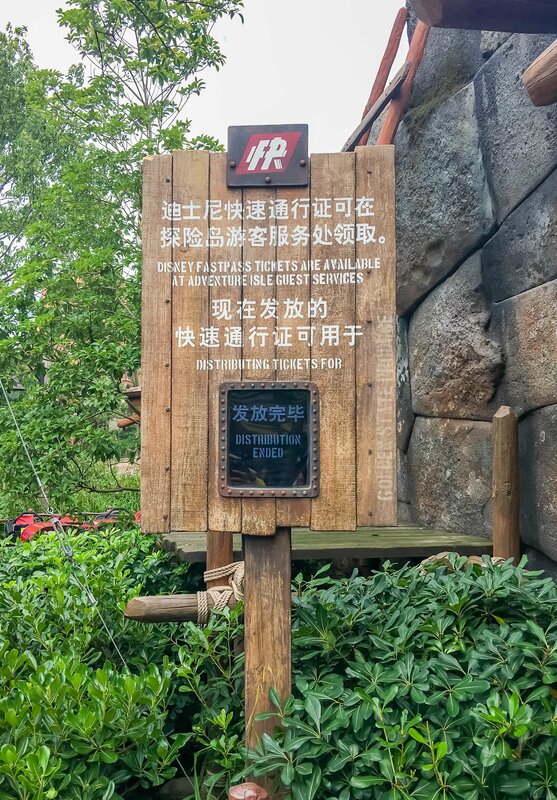 It’s currently exclusive to Shanghai Disneyland though apparently headed to Orlando. You must ride it. It’s fast, unique and one of the best thrill rides I’ve ever experienced. You’re hunched over a speeding motorcycle. Talk about butterflies. 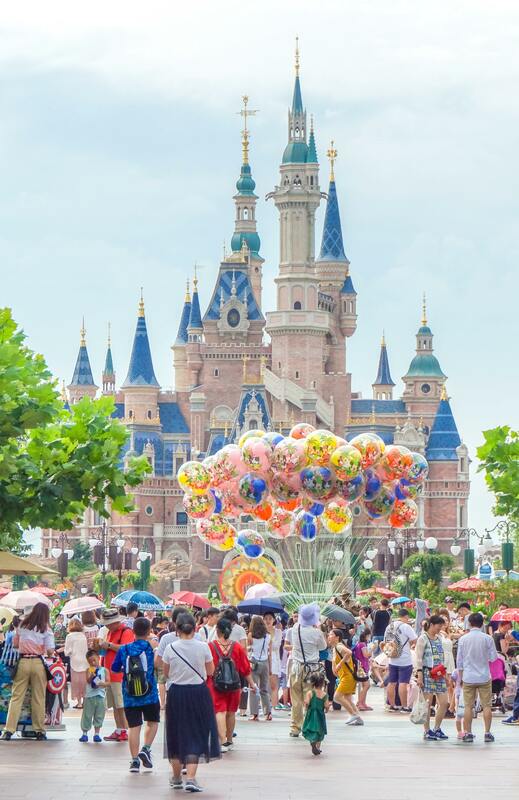 The Shanghai Disneyland castle is the largest of any Disney park. It’s called the Enchanted Storybook Castle. Inside is the Royal Banquet Hall, a boutique and even a boat ride below the castle. During our visit, a special castle show called “Summer Blast” was both fun to watch and kept guests cool. 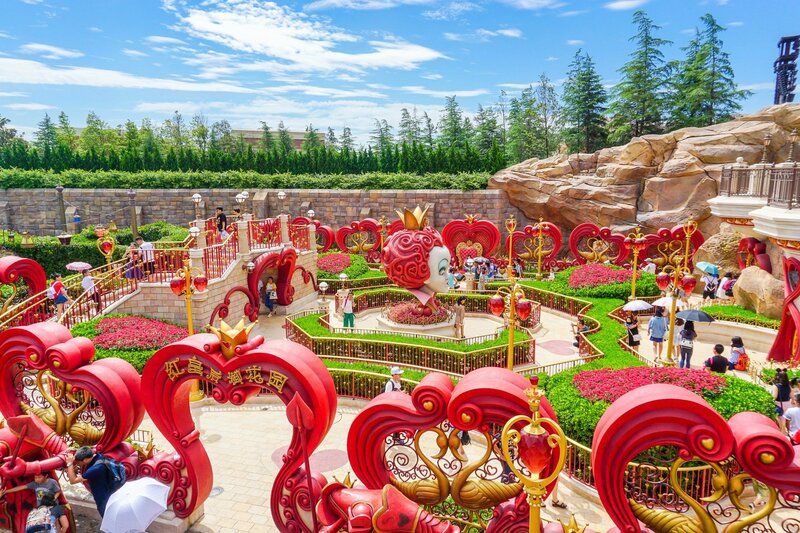 A Fantasyland attraction that is unique to Shanghai Disneyland is the Alice in Wonderland Maze. Roaring Rapids was a total blessing during summer. We did not get that wet (you can buy a poncho to cover yourself and any gear) but being on the water was cooling. The other ride of note that is quite spectacular is Soaring Over the Horizon, a motion simulator attraction (I can get motion sickness in rides like these but was fine). Guests sit in a sort of a hot balloon-like swing and glide over various places around the world. It is very well done. The one ride we didn’t have time for is Pirates of the Caribbean. Many people tell me that it is fantastic and even better than Pirates of the Caribbean rides in other parks. It is unfortunate that this ride does not participate in FastPass. Character dining at Shanghai Disneyland happens at the Royal Banquet Hall (and Lumiere’s Kitchen at Shanghai Disneyland Hotel). After purchasing tickets, you can make a reservation here, if one is available. Reservations were not available at the time of our visit but, in our case, it would have been a mistake to make them. The summer heat and wait times would have made planning around a set time extremely difficult. As we finished Tron in the later morning, they were starving so went straight to the Stargazer Grill next door. 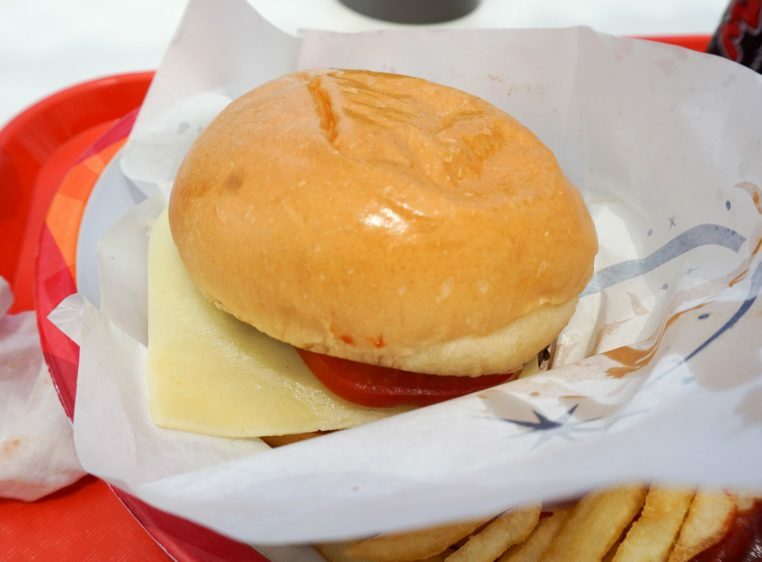 Options included a cheeseburger, pork burger, vegetarian burger, fries and a few specialty items. It’s counter order and pick-up. The problem is that it was so crowded that there was no place to sit indoors, so we endured a hotter-than-you-know-what lunch in the heat. 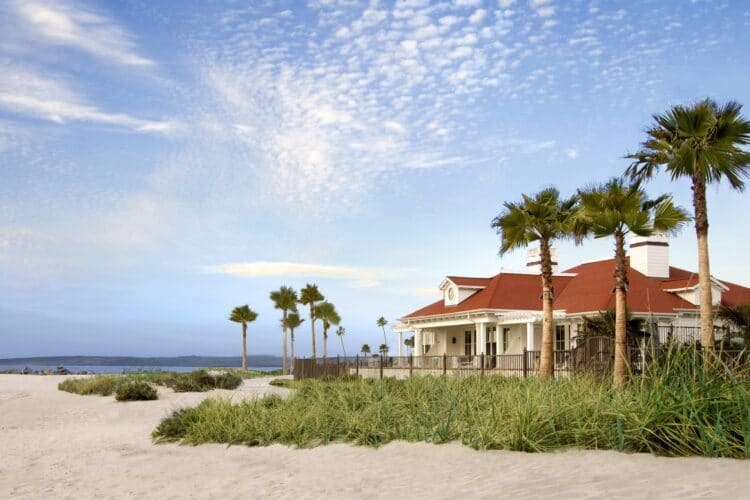 The upshot of a reservation at Royal Banquet Hall is that it’s guaranteed climate control. At Stargazer Grill, the burger and fries were decent but not mind-blowing. 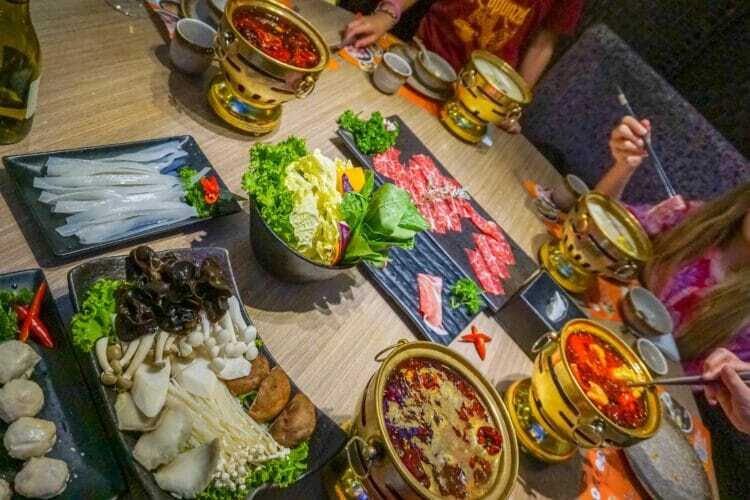 A variety of other Shanghai Disneyland restaurants offer regional specialties like noodles and dim sum. If you’ve eaten at a restaurant that was particularly notable, please share why you liked it in the comments! 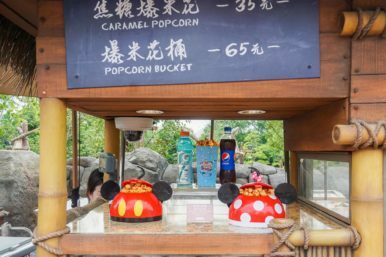 Ice cream and popcorn carts are prevalent throughout the park. I took advantage of delicious and hydrating coconut water. 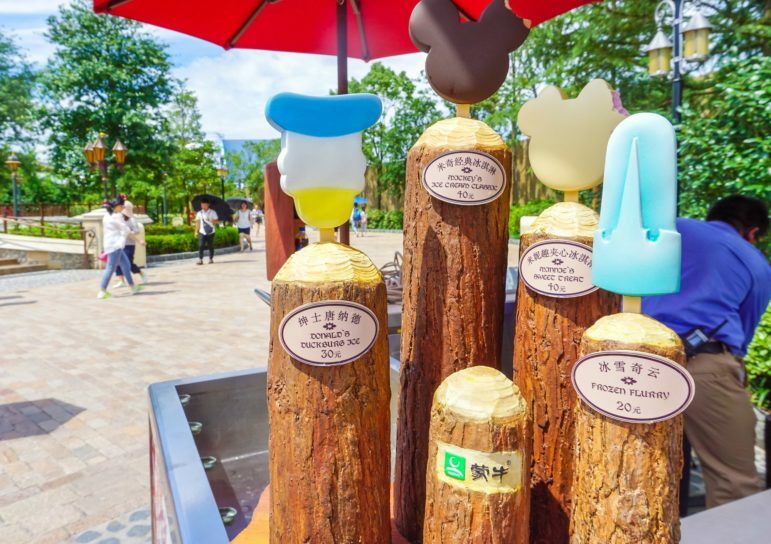 There isn’t any Dole Whip, unfortunately, but rest assured frozen desserts come in very handy during the summer heat. Download the Shanghai Disneyland app to check wait times, view the Shanghai Disneyland map, check dining options and more. It is not quite as useful as the other Disney park apps, but it is helpful. 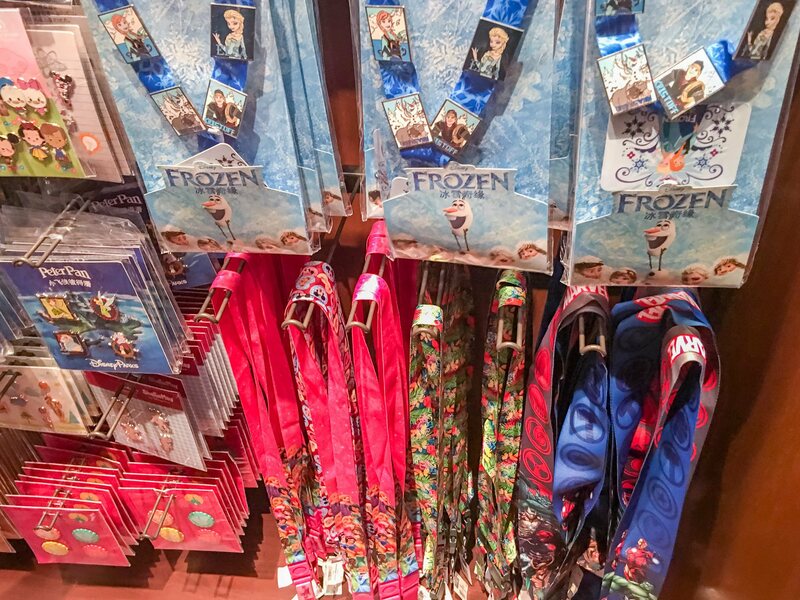 Buy a lanyard so that you aren’t continually digging around to find various FastPasses. You can buy them at Avenue M in sizes that fit just the Fast Passes (about the size of a credit card) or in sizes that fit the passport. I recommend that you buy the Disney passport and a lanyard that can hold it and the FastPasses. The pouch for this lanyard is about the size of a standard passport. The Disney passport is a passport-sized book guests can stamp in various places around the park. It’s a fun way to keep the kids walking and will allow you to explore parts of the park you might not otherwise see. A few of the machines were broken during our visit, so just warn the kids there could perhaps be some technical difficulties. Arrive at the park early. It took us about 40 minutes without traffic to arrive from Mandarin Oriental Pudong, Shanghai which is located right on the Huangpu River. We tried to arrive right at 8:00 a.m., but it takes a good 15 minutes, walking at a very swift pace (I’d budget for more time with smaller kids in tow), to reach the entrance from the parking lot drop-off point. Plus, it doesn’t hurt to be near the front of the queue. If the park opens at 8:00 a.m., try to arrive curbside by 7:30 a.m. You can also take the subway. If you are dropped off by a taxi or car service, you will not be picked up in the same place. We learned this the hard way. After cast members saw us waiting in the same spot we were dropped off at, they informed us that we needed to go elsewhere. The cast member spoke to our driver in Mandarin and directed him to pick us up at the Toy Storyland Hotel bus stop. This that wasn’t easy for him or us to find. It was hot, and we got lost (as did our driver). This is the last thing you want at the end of a long day of walking, trust me. 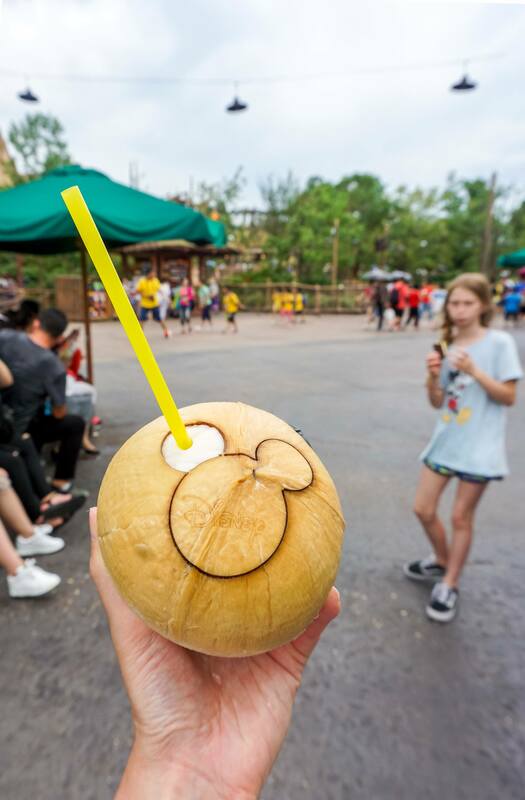 Bring cash for FastPasses, drinks, and snacks as credit cards are not always accepted. The person who purchased the tickets needs to bring their passport (a copy will not do). 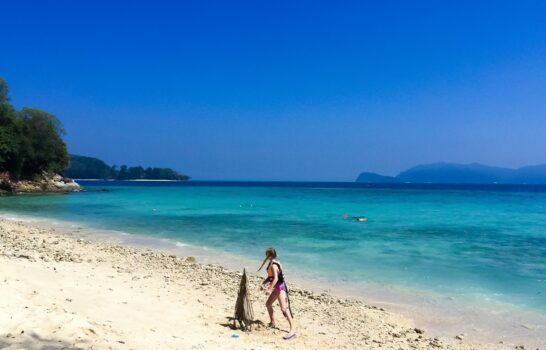 , sunscreen, a travel misting fan (it sprays mist… a lifesaver when in Asia during summer). The umbrella suggestion is no joke. It will help prevent sunburn, and you’ll crave the shade. Many, but not all, of the rides with indoor queues are air-conditioned. It is wise to carry snacks and bottled water just in case hunger or thirst strikes in a long line. Most importantly, have fun! We’re likely headed back there next year, heat and all. 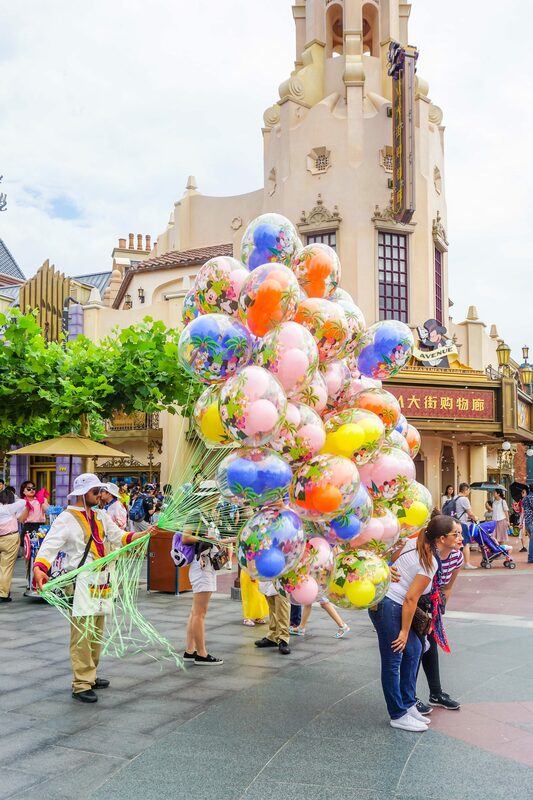 What are your best tips for visiting Shanghai Disneyland? Thank you for this post. We are San Diegans heading to Shanghai for the first time with kids. 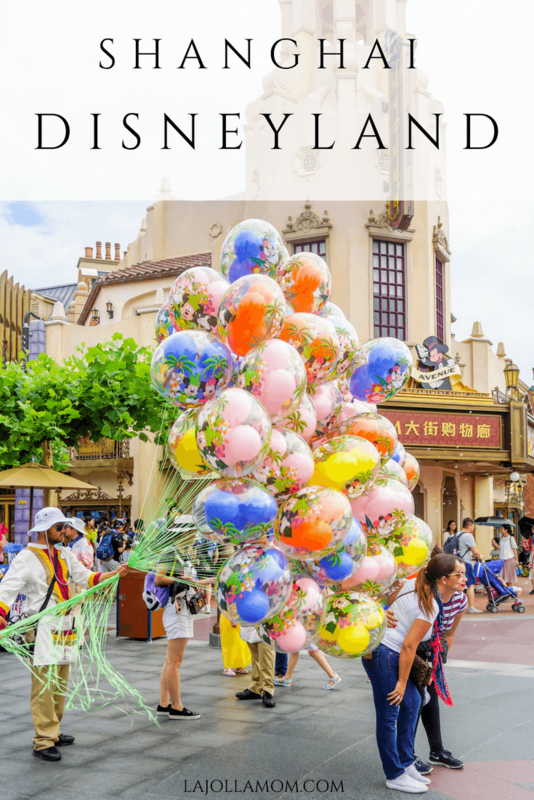 Although this post is a little overwhelming I am very thankful to know these things prior to our Disney trip. Thank you! Do you book your car through Blacklane before you leave the US or while you are in China? You really just need 24 hours in advance or so. I book my transfers before I leave but the rest can be done with just a little advanced notice! Have fun! Thanks for the information! We are headed to the park tomorrow. 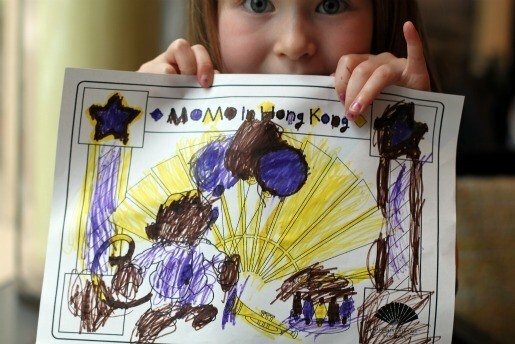 Luckily we have 3 children who are competent Mandarin speakers and it sounds like that will come in handy. I have lived in Shanghai for 10 years but I would never go to Disney Land in Shanghai sad to say. With 40 million people in Shanghai and 1.7 Billion people in China I couldn’t imagine the horror. Let’s not even talk about the bathrooms. I tried to go to Disney Land in Shanghai off-peak. A Tuesday 8:00 A.M., mid-November(midterm tests) It was still packed to the brim. Maybe in the next life. I don’t know how you did it . I would have been miserable without the Fast Pass. I will say that everything was much cleaner than I thought it would be, including the bathrooms. Hi! The free Fast Pass has massive queues and they can only be pulled at various stations around the park. They also run out of these free Fast Passes. I would recommend purchasing the guaranteed Fast Passes that I mention here.